Please email Mike Johnston at mcjohnston[at]mac[dot]com to place your ad link now! 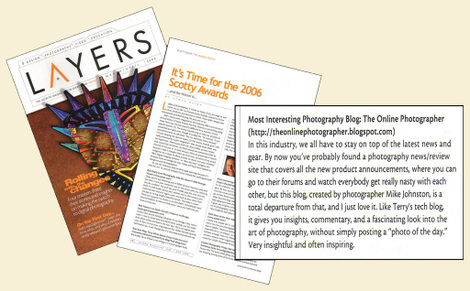 • We’re highly targeted: With more than three dozen expert contributors providing posts of wide-ranging interest to photographers, T.O.P. not only draws an enthusiastic and photographically knowledgeable audience, but a photographically influential one: the kind of people who others listen to. • We generate constant traffic with daily content: Unlike many more static sites, T.O.P. adds content daily. There’s always something new for visitors to see. And whether they check in once a day or once a month, visitors keep coming back. 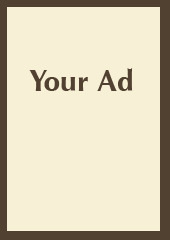 Especially if your own site happens to be more static, an ad link on T.O.P. keeps your site in front of a large and active audience. • We get much more traffic than the average blog: Currently we have received more than 16.4 million visits (June 2007 through the end of 2009). To be counted, visits must be to the main blog page, of more than 30 seconds duration, and with a two-hour reset (that is, two page views from the same visitor are not counted twice unless they are more than 2 hours apart). Our current daily average is more than 20,000 direct visitors and 16,000 people (give or take a few hundred) reading through full feeds. That counts weekends, when traffic is lower; the average of direct visitors for weekdays is 22–24k. • We are a bargain! There just aren't any comparable newsstand photography magazine offering these kind of numbers for these kinds of prices. Large Ads, Above the "Recent Posts" and "Archives"
170 x 350 pixels. Our largest ad size and most prestigious placement. VISIBILITY: Top position on every page on the site. 170 x 280 pixels. EXCLUSIVITY: Only one ad of this size available. Always second from the top on every page. Generously large and highly visible. 170 x 240 pixels. EXCLUSIVITY: Only one ad of this size available. Always third from the top on every page. Please email Mike Johnston at mcjohnston[at]mac[dot]com to place your EXCLUSIVE ad link now! We have tried to make it possible for businesses of all sizes to find what they want in a T.O.P. ad link with SMALL BUSINESS DISCOUNTS. As photographers ourselves, we know that many photographers and photo-related businesses are small proprietorships with limited advertising opportunities and small budgets. We are striving to offer businesses like yours an effective means of contacting your target audience for a price that’s a true bargain on your scale, not just ours. 170 pixels square. Limited to 9 (four in the left0hand column, five in the right-hand column) to preserve some exclusivity for your ad. Currently available! Small business discounts available—see below. For businesses with 4–20 full-time employees*: 1/4 off! For businesses with 0–3 full-time employees: 1/2 off! Please just email if you have any questions. All three exclusive ads are above the Recent Posts and Archives. Ads of the smallest size, 170 pixels square, appear below the Recent Posts and Archives. 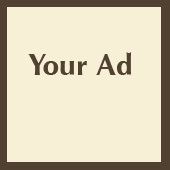 There is no limit to the number of square ads. 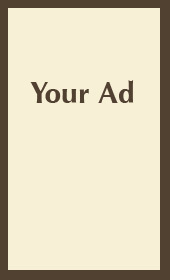 All ads appear on every page of the site. 3. The URL you'd like your ad to link to.